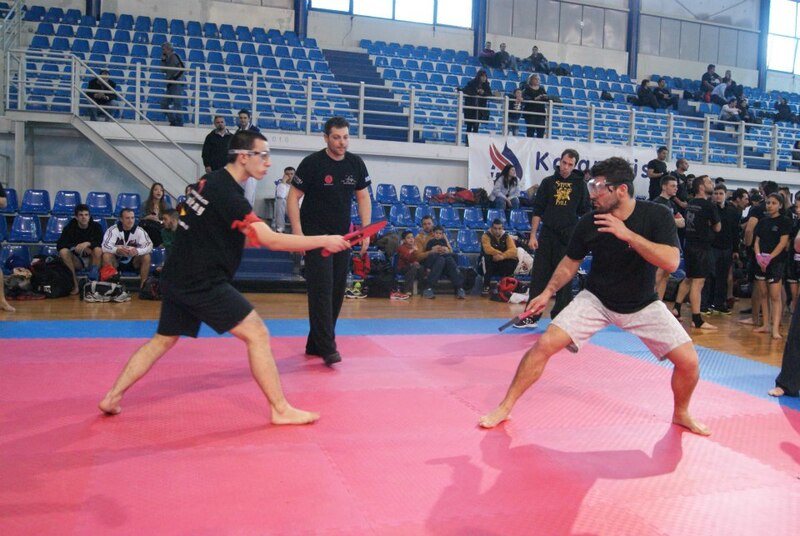 The 3rd Hellenic Bladesport Tournament, the fighting part of martial art FCS Kali, was conducted successfully at the 9th of March 2013. 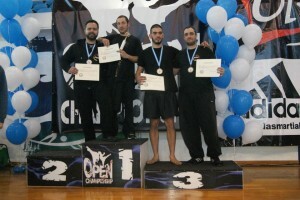 The Championship took place at Peristeri of Athens, in the Olympic Stadium of Boxing, as part of the 10th Free Style Open Championship . 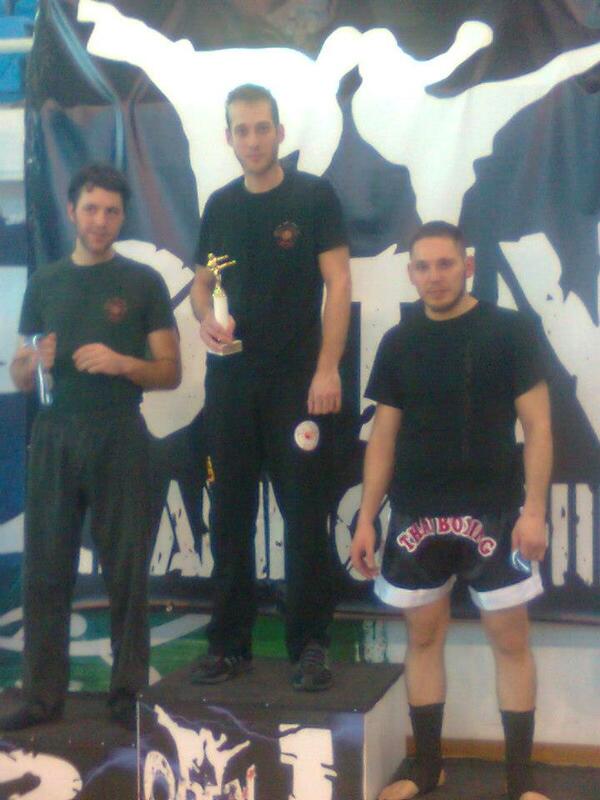 The event was organized by Dimitris Katsiaras(Founding member of Fcs Kali Hellas) for 10 years in the row. 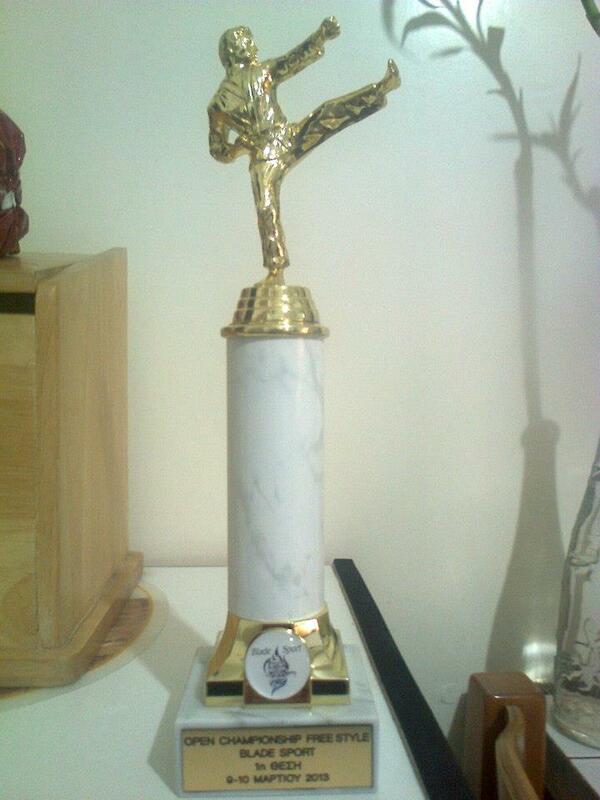 The exclusive responsibility of the tournament belongs to Fcs Kali Hellas the only official Union recognized by the FCS Kali founder Tuhon Ray Dionaldo. 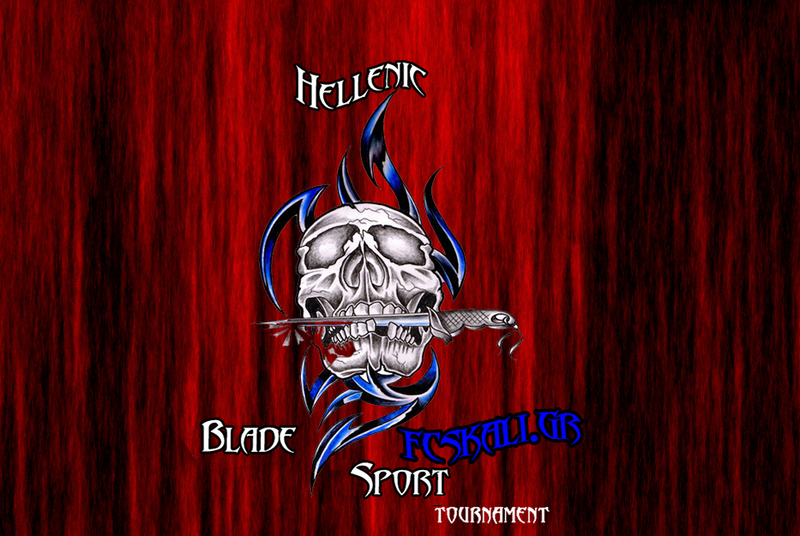 2013 Bladesport Tournament’s 4 different divisions were :1) Long Blade 2)Short Blade 3) Single Stick-point fighting 4)single Stick-continuous fighting. 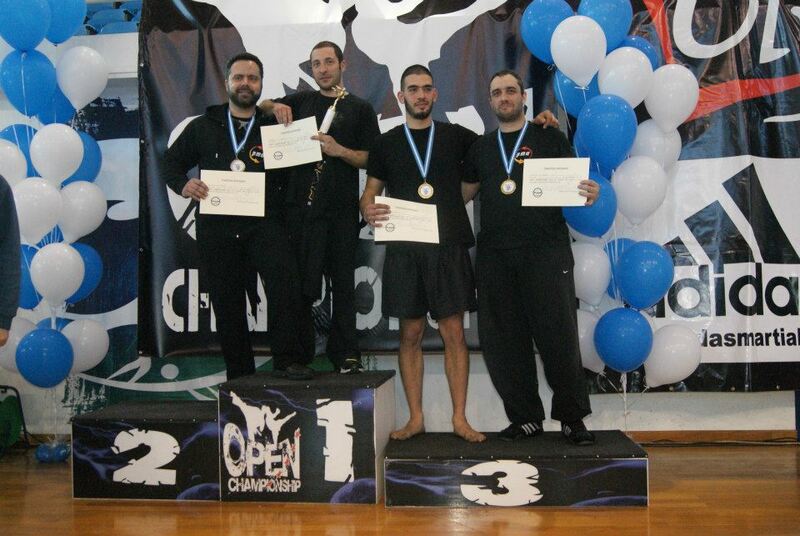 Apart from Fcs kali Hellas, 5 other clubs participated in the tournament : IKAEF-SAYOC KALI HELLAS-PROGRESSIVE MARTIAL ARTS GREECE-FIGHT ACADEMY and FIGHT FACTORY. We would like to thank all the above clubs for their support. 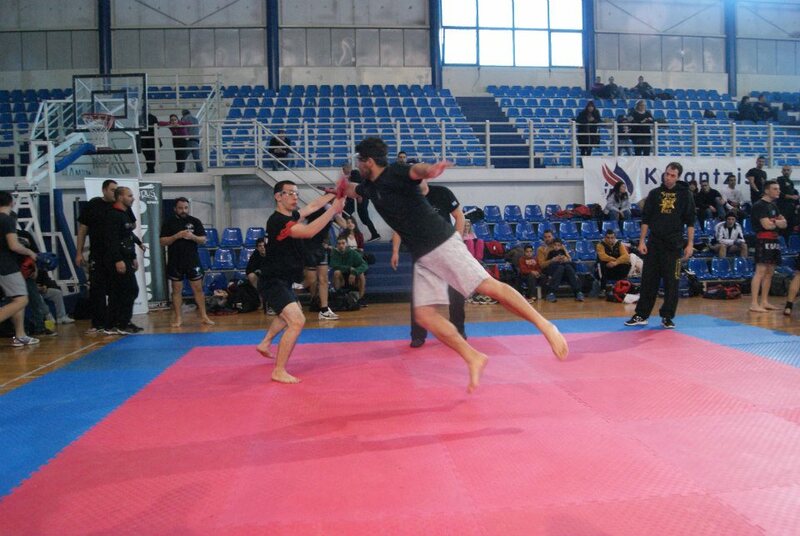 We would like to thank the First teacher of Filipino Martial arts in Greece and representative of IKAEF, Petrou Alexandros, for his personal assistance as the main referee of the Single Stick(continuous fighting) division. 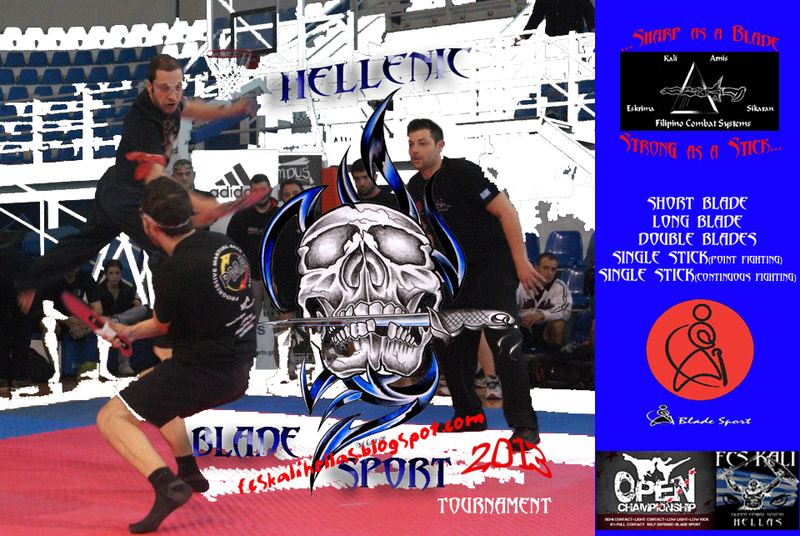 Also, special thanks to Sayoc Kali Hellas representative Bastakis Angelos, for his personal assistance as main and corner referee of the Short Blade, Long Blade & Single Stick(point fighting) divisions. 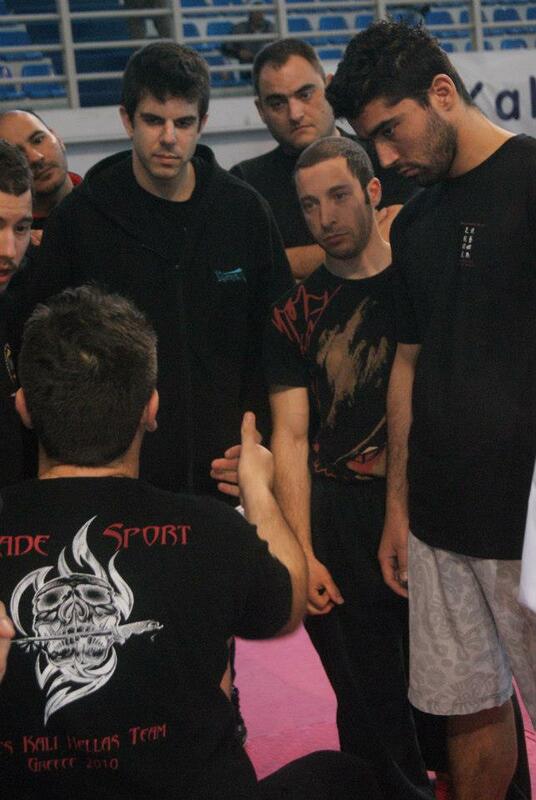 The following Bladesport competition (3rd European Bladesport Tournament) will be conducted 16 of June at the end of the “FCS intensive training Camp & Mediterranean Gathering” under the guidance of Tuhon Ray Dionaldo who is going to be the main referee of the competition. 2. ARGIRAKIS(winner) VS KARAHALIOS S.